Every once in a while you come across some writings and teaching that are so clear, so profound, and resonate deeply---not often, mind you. In this day and age of wanna-bes and copy cats, something "unique and new" seems like an oxymoron. Fortunately, this isn't the case for the guys at Peak Athletic Development. Consisting of Evan Peikon and Mike Reynolds, right out of the gate, these guys were blazing a trail of highly informative and intelligent posts based around the Sport of Fitness. I came across one of Mike's posts on Crossfit Quality Control, and quickly realized there was a wealth of educational writing in the others, as well. I was surprised to find a link to my blog, and after contacting Evan, decided to do an interview. I urge you to check out every post these guys have written, as all are gems. Check back here soon for an interview with Evan! Probably the #1 question I get on ANY topic is "What do you think about [insert supplement/herb/pill/magic powder]???". And, I understand why---the amount of knowledge needed, and amount of time to stay informed, is practically impossible to stay on top of. Fortunately, guys like Sol Orwell and Kurtis Frank exist. They've created a massive database supplement guide, which is cross-referenced with HUMAN studies. There's a ton of pseudo-science out there, and half my time researching is spent figuring which is marketing, and which is legit. These guys have DONE that. I don't endorse many products---but this is one I use daily. AND they update the references daily. 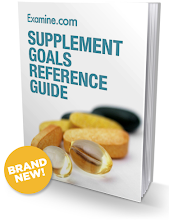 $40.00 for a lifetime of updated supplement knowledge? Seems like a no brainer to me. GRAB IT HERE. Seriously, this is an unheard of amount of knowledge to be had. 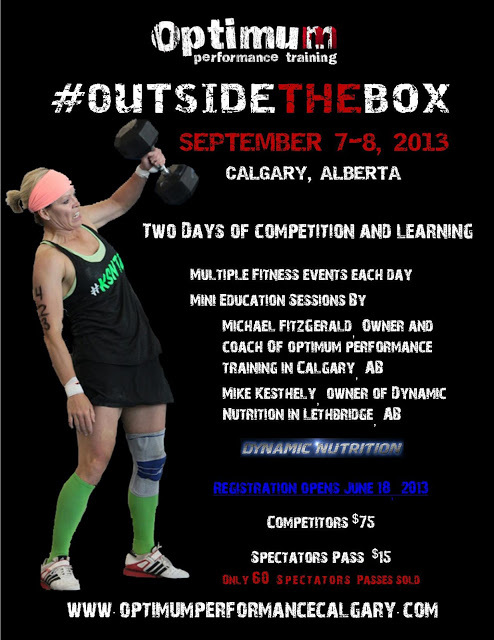 Coming up at the beginning of Sept I'll be presenting at Optimum Performance Training in Calgary at Mike FitzGerald's Outside The Box competition & learning seminar. Coach Fitz has been brewing this for a while, and wanted to make it different than most "Let's destroy some athletes in the off-season" typical comps. 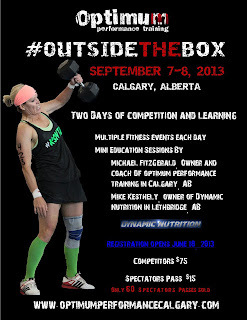 Expect true tests of fitness, and on my end, I'll be doing 4 - 20 minute presentations on nutrition + fueling. Looking forward to it! Sept 30-Oct 1st I'll be back in sunny Scottsdale at the NEW OPT International Center for Fitness teaching the CCP Level-1 Nutrition. I'm going to hang around for a few days, maybe house-shop (I'll leave that to your imagination as to why...) and then present some specific athlete case studies regarding functional labwork on Oct 4 at the CCP coaches day for the OPTathlon. After that....baby due beginning of Nov, so I might not bee seen for a few months!